How to start a thriving business in Colorado: 10 things you need to know. Why do the little guys like Colorado so much? Simplicity. According to Thumbtack's annual survey of states friendly to small business, Colorado earns a straight "A" overall, getting particularly high marks for "ease of starting a business." The message? If you're interested in entrepreneurship—head for the Rockies. 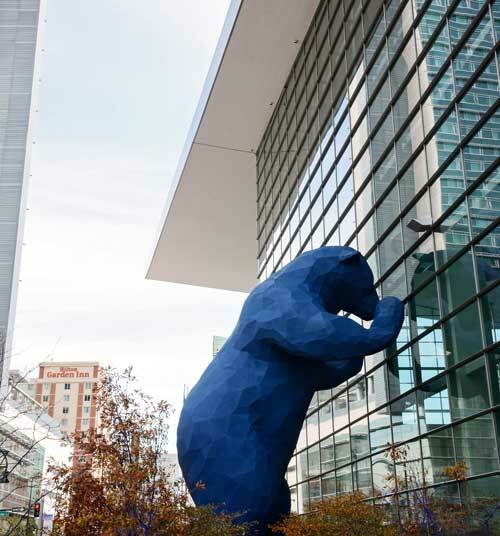 But there are still a few things you'll need to do when you arrive to start your business in Colorado. No, we're not talking about the type of business you're in. We're talking about structure. Sole proprietors report business income on their personal taxes. This structure is a good choice if you're a solo worker and make a limited amount of money. Freelance writers and artists tend to work as sole proprietors, for example. Corporations—including S-Corp and C-Corp structures—and Limited Liability Companies (LLCs) report financial data separately and pass through money to owners via salaries and dividends. (So, come tax time, if you own a corporation, you'll file taxes for yourself and your business.) Incorporating is a must if you're earning six or seven figures and operate in a business where you could be sued as part of the normal course of business. Building contractors, attorneys, and medical professionals, all typically fall into this category for example. Don't go into the process blind. Study the market you're looking to enter and figure out how much money you'll need to serve your customers well, how much money you'll earn if you succeed, and how long it might take to begin generating cash flow. Write it all down and compare it to the savings you'll be putting into the business, and you have the beginnings of a business plan and a fundraising target—or at least a number in mind if you plan to go to the next family reunion hat-in-hand. Still, don't know where to begin? The Small Business Administration has step-by-step guidance and a free tool to help you build your plan from scratch. If you don't need that much help but would still benefit from some expert advice, check out this example-rich step-by-step guide to writing a business plan, provided by HubSpot. You know you need an accountant, right? This is especially true if you'll be setting up a corporation. Shareholder agreements, equity splits, payroll filings and more are best left to the professionals. Pro tip: don't use your personal tax accountant as your business accountant—unless, of course, they already have experience dealing with corporate taxes. Crucial for paying employees (including yourself) and subcontractors, plus other bills that ought not go on the company credit card. Pro tip: make sure you've claimed your business trade name through the Colorado Secretary of State and then have that name printed on your checks. Capital-intensive or inventory-driven businesses such as building contracting and retail will usually require quick access to working capital. Frankly, you may want to have access to capital even if you aren't in a capital-intensive business. That way, you'll at least have cash to pay bills if business runs dry for a time. Tempting as it is to set up a Home Equity Loan or Line as a sort of defacto line of credit, take this advice: don't. If you get sued and lose and you've made the house part of the assets of your business, you could be forced out. Plus, there are plenty of other options for securing small business funding that don't involve putting up your home as collateral. Think carefully about this because you may have to offer future employees the same benefits you give yourself. So, make sure the mix is affordable. (Monthly spa allowance will add up when you get to 100 employees.) Also: underpaying yourself can trigger an audit. Consult your accountant or tax adviser before deciding how you'll benefit from your business. There are two reasons for this. First, concentrating spending on a single business credit card makes it easy to see and categorize expenses for tax time. Second, businesses have credit scores in the same way individuals do. Having a history as a successful business borrower is essential if the time comes to ask for an expansion loan. Colorado has strict guidelines for Colorado workers' compensation insurance, so expect you'll need it. Here's why you'll want it: the average Colorado workers' comp claim is over $7,400. You don't want to pay that, nor do you want to pay the $500 a day Colorado fine you could be subject to for not covering employees. At Cake, we can get you covered in Colorado for a lot less in under 5 minutes. Will you need other insurance? That depends on the business you're in. A residential contractor may need liability insurance, for example. A delivery business would have to insure its vehicle fleet. A property management company would insure its buildings. And companies that sell products to consumers generally have some form of product liability insurance. If you're unsure whether you'll need insurance, look around at your competition. Are they insured? If so, get covered. For more guidance, check out the SBA's handy guide on business insurance. For state-specific questions, try the website for the Colorado Division of Insurance. While Colorado is a small business-friendly state, being self-employed means there's no one to pass the inevitable paperwork to—unless you have a business partner with an affinity for administration, a particularly generous spouse or you're willing to pay your accountant to take the burden of regular filings off your hands. Make a decision about who and how you'll file taxes and other necessary paperwork to avoid unnecessary trouble. For a complete rundown of what to expect starting your business in Colorado, download the state's free guide, the Colorado Business Resource Book.